Entwistle Green are delighted to offer for sale this impressive one bedroom top floor apartment with no ongoing chain. 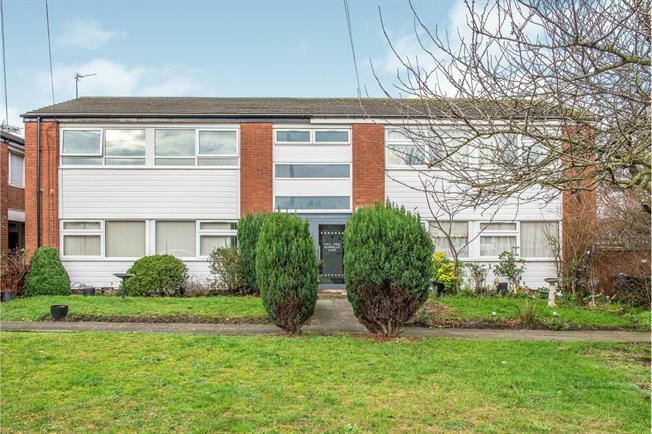 The property briefly comprises; communal entrance hallway via intercom entry system, front door, hallway leading to fantastic, open plan dining kitchen/lounge, bedroom with fitted wardrobes and a superb fitted bathroom. The property also benefits from attractive, communal rear garden and idyllic open views to front. Internal inspection is essential to appreciate the finish of this apartment. Entry via intercom system. Stairway. Personal, lockable, storage space/internal shed. Impressive open plan living and cooking space with fitted wall and base units with complementary work surfaces and breakfast bar. Integrated oven, hob, extractor hood, fridge, freezer, washing machine, sink and drainer with mixer tap. Living space with TVpoint and sockets. Radiator. Double glazed uPVC window to front and rear aspect. Fully tiled and modern suite with Thermostatic shower, Vanity unit with inset wash basin and mixer tap, low level wc. Chrome ladder heated towel rail. Double glazed uPVC window. Attractive rear courtyard with pots and shrubs.